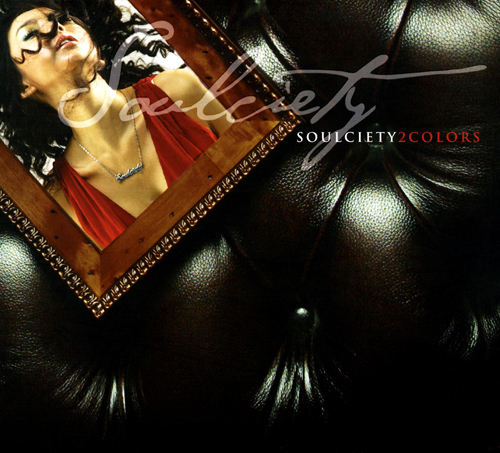 Not to many people know about Soulciety. Their lead singer, Amin.J is featured in some Epik High songs so some know of her.I don’t know too much about the group either except that they are very underrated. Support them please! The album starts off with Tell Me, a feel good song about wanting a significant other ‘I love you’. Follows is the title track,Mr.Player with strong latin and jazz influences. I believe it’s Amin.J (the female singer) her voice is to die for; just raspy and strong. Love it! Watch the MV. I don’t know if this is a cover of Park Jung Eun’s song or if they wrote this, but U just is gorgeous. I watched a live performance of this and I was blown away. I cannot believe that they aren’t popular, but then again if idols are dominating I’m not that surprised. Listen to the studio version( above) and the live (below) and compare for yourself. Never Gonna features the male singers of and is the typical slow R&B song. About 3/4 into the song there’s an interlude that I could do without. It features someone rapping in English. Game has some clinking in the beginning and heavy beats throughout. I really like the laid back feel of the song and it has that 2000 R&B feel. I Can’t Let You Go continues with the heavy beats and more English. It also has a little rapping, but I don’t really like it. Secret Love has a mysterious sound in the intro, then a beat kicks in and the female singers lead it. This also has that old school R&B feel; I don’t really like it too much, but it’s an okay track. 허락해 The Soulciety (Interlude) is kind of weird because it’s called an interlude, but it’s like 4 minutes long. I don’t understand that, but this features both the male and female singers. This song is kinda bland. 내 안의 너 starts off with one of the female singers deep vocals and it’s so gorgeous. The simpleness of this song is so refreshing and relaxing. Love Bible has this weird drum/beat going on. The lyrics are in English and are pretty cheesy : My kind of girl/ my kind of style. I don’t really like this song too much either. Gimme has that distinctive R&B quality with the drum beats and laid back feel. I prefer this song to the previous; it’s so pretty. The album ends with In My Bed, an instrumental track.It reminds me of something Erykah Badu might sing; totally chill. I love Soulciety! They are really very talented and have some really good music. I recommend that you listen to their older stuff and work your way to their newer material. I give this album 4.5/5! hmm, never heard of them, except if i did it’s only the lead singer being featured in Epik High’s songs. anyways, i really like the U Just song though so far. it’s pretty good and i love their vocals, and the live wasn’t so bad. definitely need more voices like that in the music industry. xD anyways, thank you for sharing. you’re welcome! Luminosity has a few updates from them on releases from last year.